Mother's Day - Nick and the boys spent the day making sure I was happy and looked after :) We took our Chinese takeaways to Liz and Graham and enjoyed a shared lunch in the sunshine along with Simon and Monique and their three lovely girls - more about them in future posts, I'm sure! Since the Clevely boys were so eager to please today, I snared the opportunity for a photo. 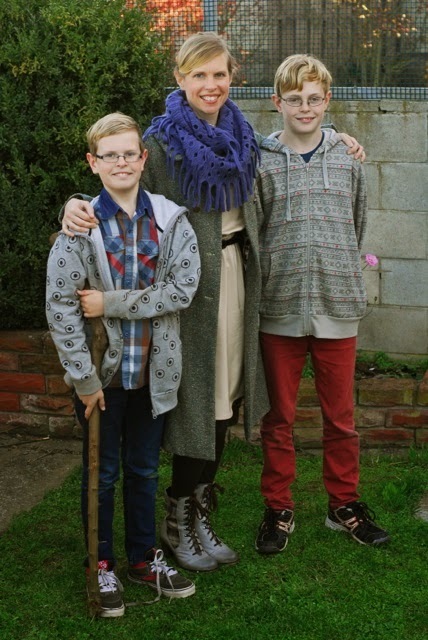 I suspect that next Mother's Day at least one boy will be taller than his mother.